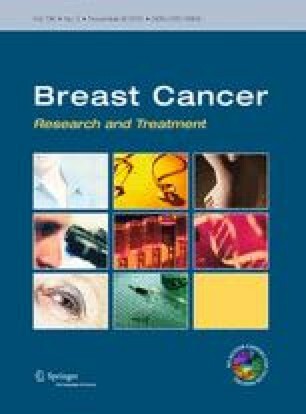 The present study was undertaken to determine the anticancer efficacy of zerumbone (ZER), a sesquiterpene from subtropical ginger, against human breast cancer cells in vitro and in vivo. ZER treatment caused a dose-dependent decrease in viability of MCF-7 and MDA-MB-231 human breast cancer cells in association with G2/M phase cell cycle arrest and apoptosis induction. ZER-mediated cell cycle arrest was associated with downregulation of cyclin B1, cyclin-dependent kinase 1, Cdc25C, and Cdc25B. Even though ZER treatment caused stabilization of p53 and induction of PUMA, these proteins were dispensable for ZER-induced cell cycle arrest and/or apoptosis. Exposure of MDA-MB-231 and MCF-7 cells to ZER resulted in downregulation of Bcl-2 but its ectopic expression failed to confer protection against ZER-induced apoptosis. On the other hand, the SV40 immortalized mouse embryonic fibroblasts derived from Bax and Bak double knockout mice were significantly more resistant to ZER-induced apoptosis. ZER-treated MDA-MB-231 and MCF-7 cells exhibited a robust activation of both Bax and Bak. In vivo growth of orthotopic MDA-MB-231 xenografts was significantly retarded by ZER administration in association with apoptosis induction and suppression of cell proliferation (Ki-67 expression). These results indicate that ZER causes G2/M phase cell cycle arrest and Bax/Bak-mediated apoptosis in human breast cancer cells, and retards growth of MDA-MB-231 xenografts in vivo. Research reported in this publication was supported in part by the National Cancer Institute of the National Institutes of Health under award number R01 CA142604-03 and RO1 CA129347-06 (to SVS). This research project used the Animal Facility and the Tissue and Research Pathology Facility that were supported in part by a grant from the National Cancer Institute at the National Institutes of Health under award number P30 CA047904. AS, JAA, AM, and SVS declare no conflict of interest. Use of mice for the studies described herein was approved by the University of Pittsburgh Institutional Animal Care and Use Committee (protocol number-1004983).